Climate exile is becoming a reality, on a scale beyond what most people are aware of. In the city of Dhaka, the capital of Bangladesh, millions of climate refugees have already moved in, and they are living in harsh conditions that bring into focus the justice issues inherent in how climate affects the vulnerable and marginalized. Fast-growing urban areas like Dhaka will bear the brunt of climate change-related disasters, particularly because so many of them are located in coastal zones. Dhaka, on the banks of the Buriganga River in the low-lying Ganges Delta, is prone to flooding during monsoons. 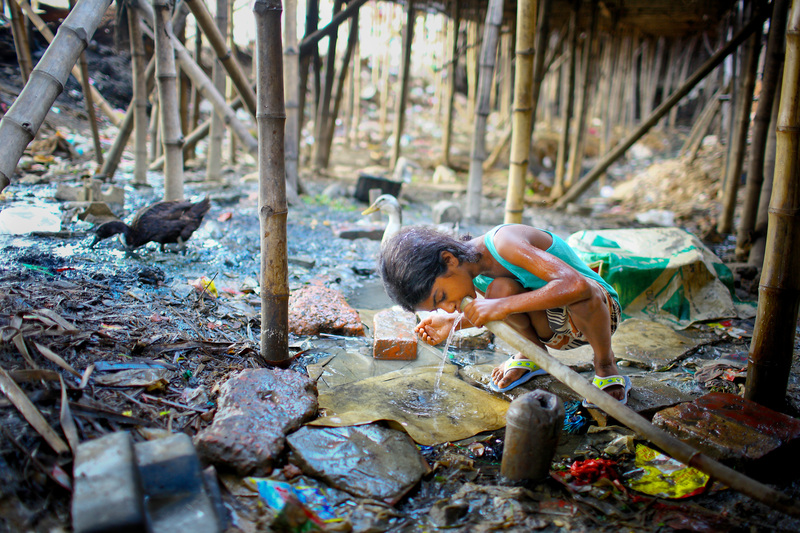 As much as 40 per cent of Dhaka’s population — almost seven million — lives in tiny hovels in slums, beside railway tracks, along riverbanks and even on swampy lowlands in the shadow of glittering hotels. Flooding from storm surges has also greatly impacted water supplies. Saltwater intrusion into low-lying coastal and rural areas has increased the saline content of groundwater, damaging fresh water supplies for human consumption and for agriculture. Agricultural land has been degraded in various ways: through flood damage and related erosion, saltwater intrusion, and even the shifting of rivers. Catastrophic flooding has damaged infrastructure, making even routine local transport and trade more difficult. Already scarce basic resources are still harder to obtain, and the day-to-day experience of getting by in affected communities is becoming so difficult when millions of people are migrating to the capital. The Dhaka Courier cites a recent study—Climate Refugees in Bangladesh: Understanding the migration process at the local level—as reporting that every year approximately 500,000 people migrate to Dhaka from climate change impacted coastal and rural areas of the Bangladesh. Experts expect about 250 million people worldwide will be displaced by worsening climate impacts by the year 2050. Of those, 20 million to 30 million climate change refugees are expected to be in Bangladesh. Due to its large population and much vulnerability to climate change, Bangladesh may well see the largest number of climate refugees. As extreme weather, floods and drought force them to flee their homes, most will head to the capital. Dhaka is the fastest-growing megacity in the world; its population is about 17 million, up from 12 million in 2005 and six million in 1990. By 2025, the UN says the city will be home to more than 20 million people. The International Organization for Migration says about 70 per cent of these slum dwellers have come to Dhaka because of climate-change adversity. 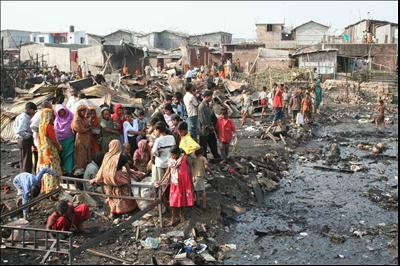 A total of 3.5 million people are living in 4,000 slums in the Dhaka metropolitan area. Following a UN report that ranked Dhaka the eleventh most populous city in the world, concern has arisen whether the city can sustain the 3.6 percent annual growth in population it is currently experiencing. The current population of 17 million people living in Dhaka already suffers from the scarcity of basic facilities like housing, healthcare, electricity and clean water. According to Article 1 of the 1951 Convention relating to the Status of Refugees, a refugee is someone who has fled his or her country “owing to well-founded fear of being persecuted for reasons of race, religion, nationality, membership of a particular social group or political opinion.” While the 1951 Convention remains the key legal document defining who is a refugee, their rights and the legal obligations of governments, the world has changed dramatically over the past 60 years. And so have the dynamics of displacement. Usually it is claimed that a large number of poor people come to the divisional cities and adjacent paurashavas in search of employment, food and for many other purposes, a complex pattern of migration which contributes significantly to the creation of slums. But these huge numbers of people coming to Dhaka are being pushed out of their communities by impacts of a changing climate. They are actually climate refugees, and they have the right to get proper support (housing, food & medical care) from the government, as well as from the leading emitters of CO2, like China, the United States, India, and the European Union.